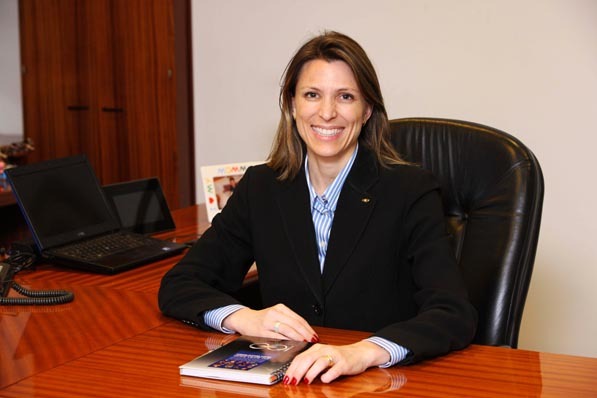 The always-revved-up Isela Costantini is making inroads as the first female president and managing director for GM Argentina, Uruguay, and Paraguay. Learn how she fought for—and won—production of the new global Chevy vehicle. In late February 2012, General Motors announced it would hire 600 workers to form a third shift in its Argentina plant. The news raced through the local press, punctuated with photos of the president of Argentina celebrating the jobs alongside GM’s president of Argentina. It was a welcome announcement for a country entrenched in economic woes, where hundreds of new jobs represented a sunny patch of hope after a long gray streak. The cards were stacked against them. Any manufacturing plant could take the project for $300 million, but Argentina required an additional $150 million to modernize the facility’s architecture and equipment. Once leadership bought into the Rosario Complex, Costantini’s team launched the meticulous financial case, hinging the numbers on the consideration of localizing several parts in Argentina. The scrutiny isn’t just internal. Public debates linger over the federal bailout, and all eyes are on General Motors. “Wall Street is looking at us, saying, ‘When is the government going to stop supporting GM?’ We need to prove that the government made the right decision by showing the numbers, and proving that we are a profitable company,” she says. A near-compulsive impulse to follow what she believes is right has been a key motivator of Costantini’s since childhood. “I didn’t want to depend on my parents; I wanted to make sure I had my own space. I never let my brothers tell me what to do; I always made my own decisions,” she says. She was an avid soccer and track athlete in her youth, and was the oldest of four children. Her family moved frequently between Brazil (where she was born to Argentine parents) and Argentina for the better part of her high school and college years. Amid frequent changes of scenery, she remained anchored in her instincts. For one, despite her family’s expectation that she would become a physician like her father, she pursued a communications degree, majoring in advertising. “I was always intrigued by persuasion and creativity on how to sell a product,” she recalls. Through 2015, GM will invest $450 million to expand the Rosario Automotive Complex and to start the production of a new global Chevrolet vehicle that will compete in an upper segment, supplying the local and regional markets—a big win for Argentina. In 2012, nearly 130,000 units were produced at GM’s Rosario Plant, positioning GM as the second-largest automaker in Argentina. The plant expansion will allow GM Argentina to add new exports and continue to update the Chevrolet portfolio for dealers and customers across the country. The new vehicle accompanies those currently produced in the Rosario plant (Classic and Agile). Costantini still runs—these days, trekking home more than a mile from work, to clear her head and transition into “Mommy time” with her two children. Her husband, who works for GM in Brazil, flies in on weekends, when she has a no-meeting policy. “I am full of energy; I can barely sleep. I’m constantly thinking about opportunities or the business,” she says.